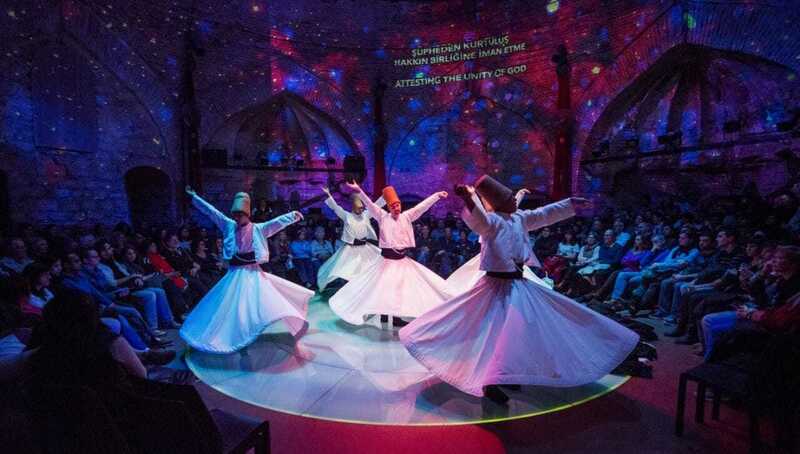 Whirling Dervishes Sema Ceremony, Mevleviye are known for their famous practice of whirling dances and dervishes. At their dancing ceremonies, or Sema, a particular musical repertoire called ayin is played. Mevleviye are known for their famous practice of whirling dances and dervishes. At their dancing ceremonies, or Sema, a particular musical repertoire called ayin is played. The Sema ceremony represents a mystical journey of man’s spiritual ascent through mind and love to Perfect.